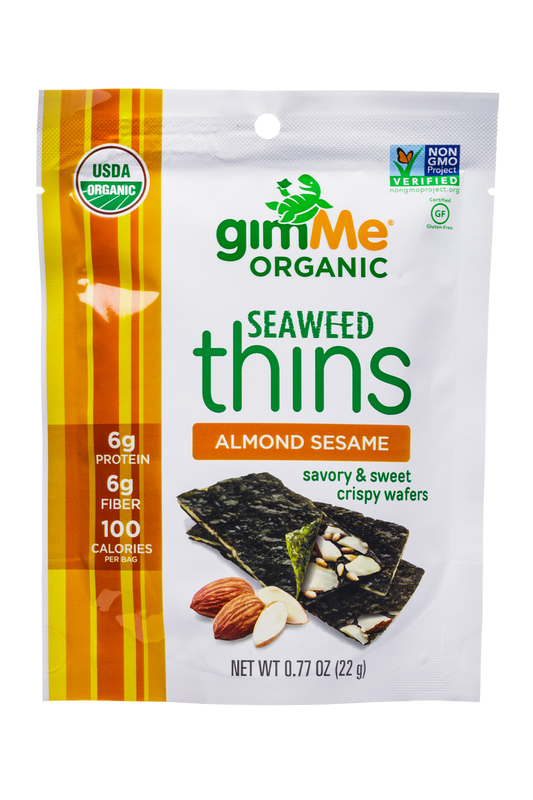 gimMe Snacks come from our family to yours. 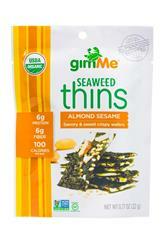 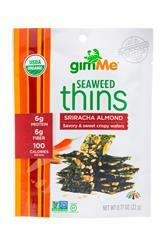 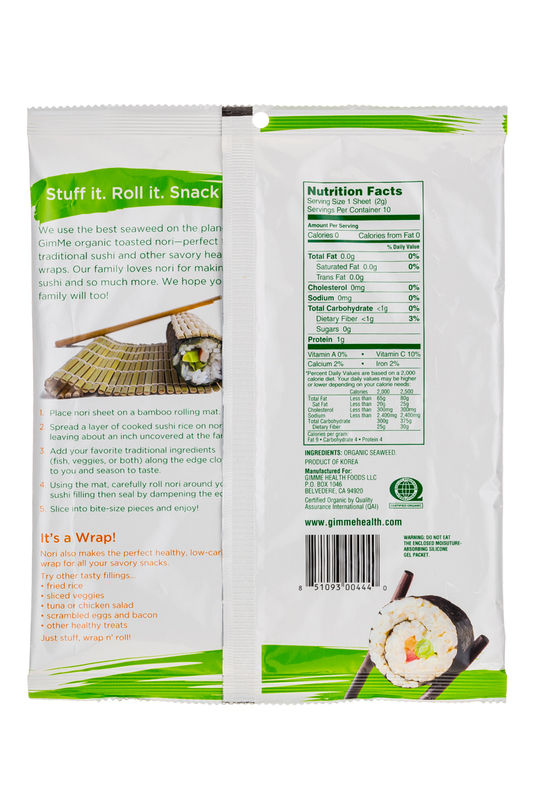 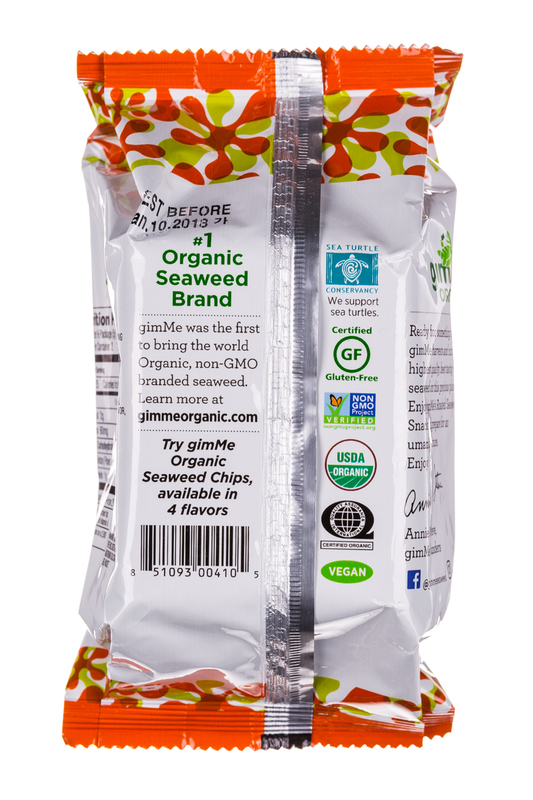 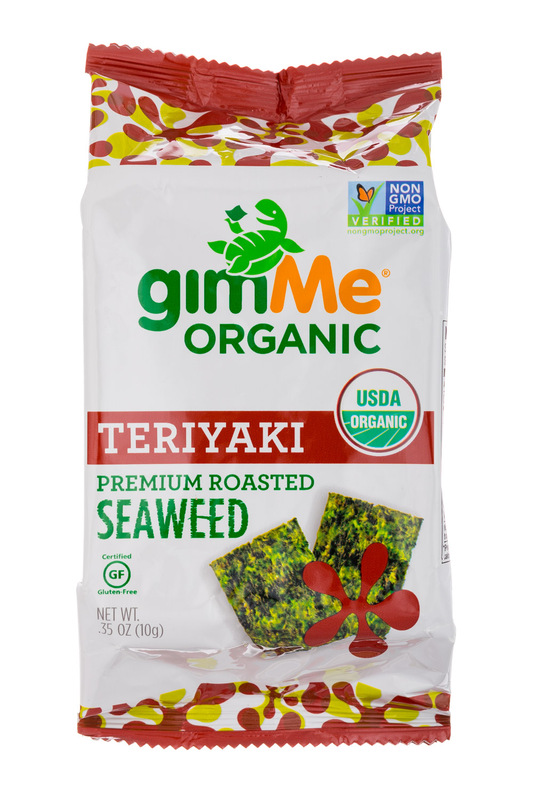 Our seaweed snacks, chips, and nori are certified organic and Non-GMO Project Verified, certified Gluten Free and Vegan. 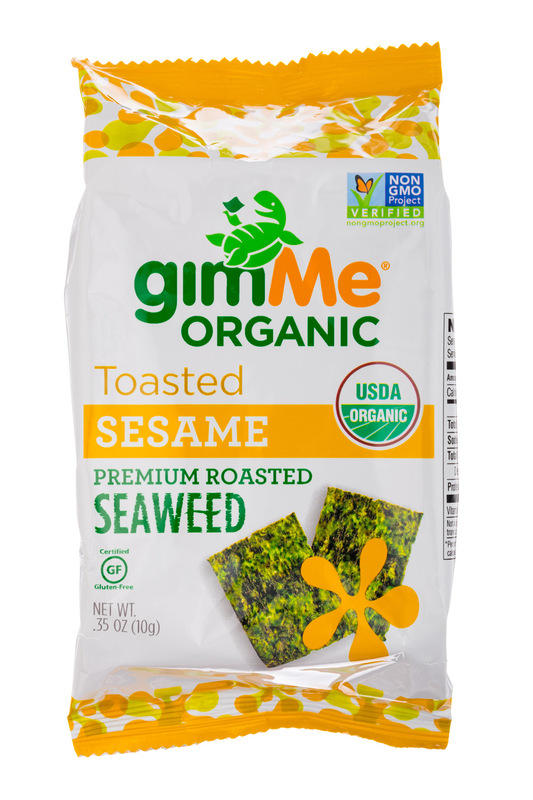 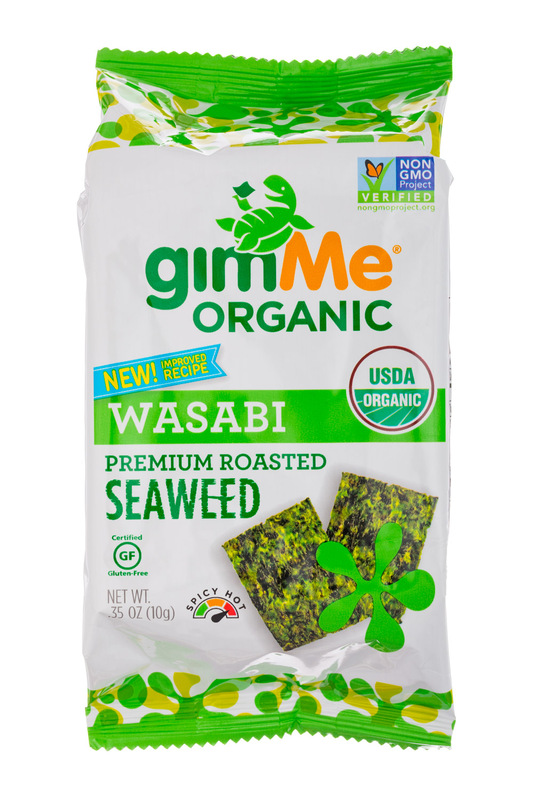 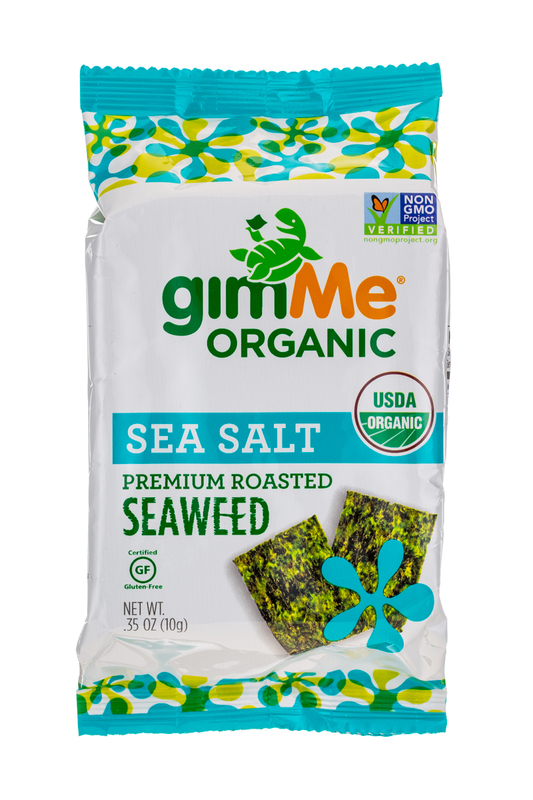 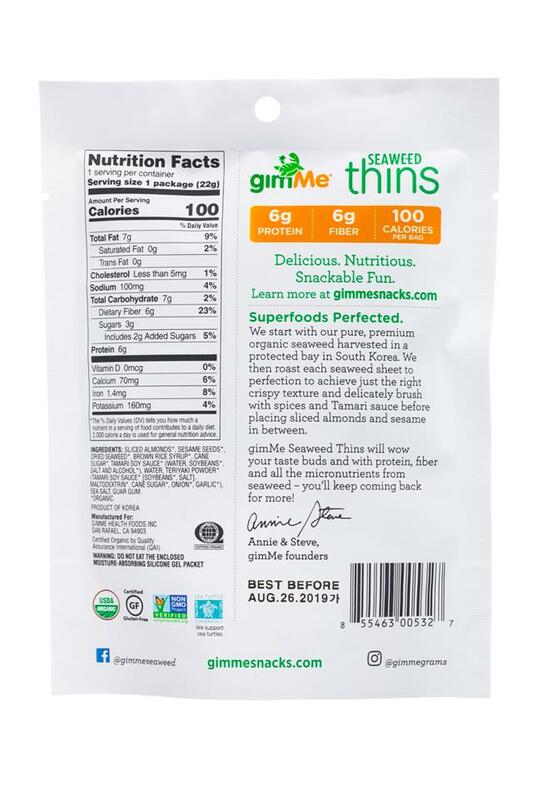 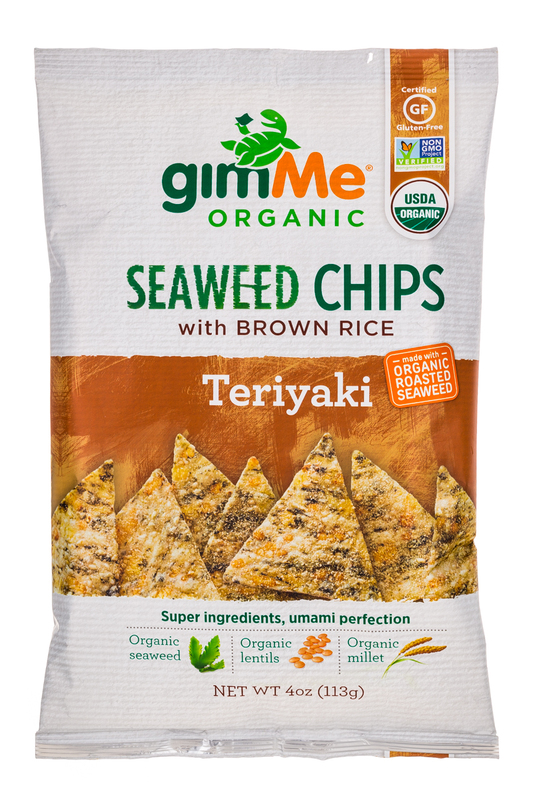 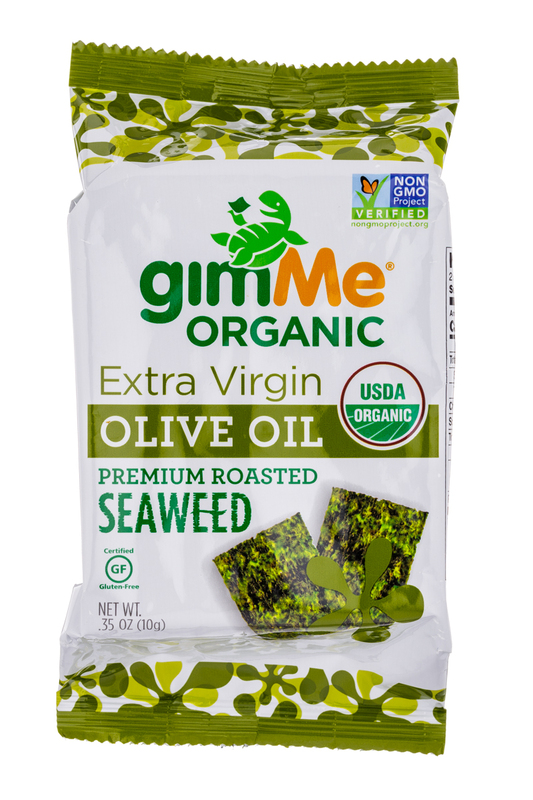 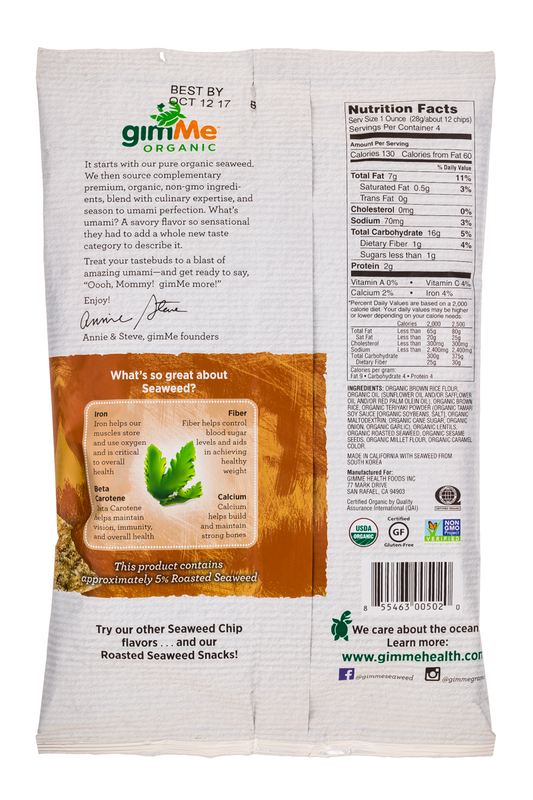 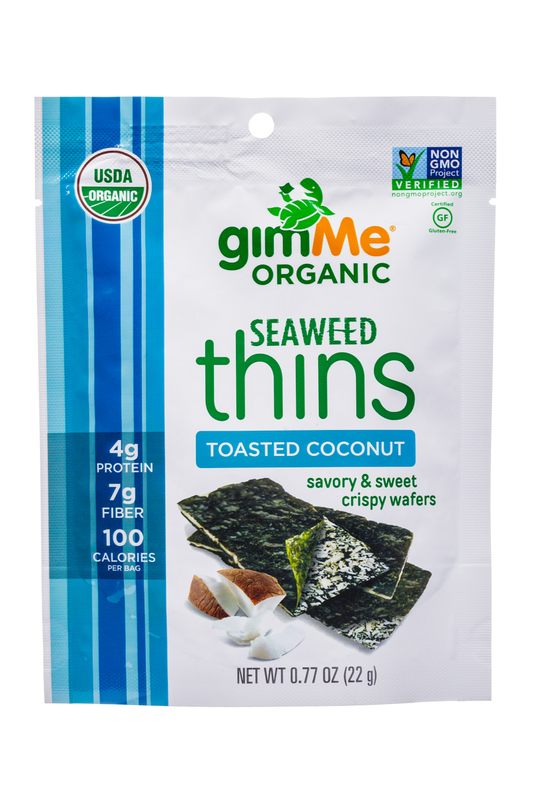 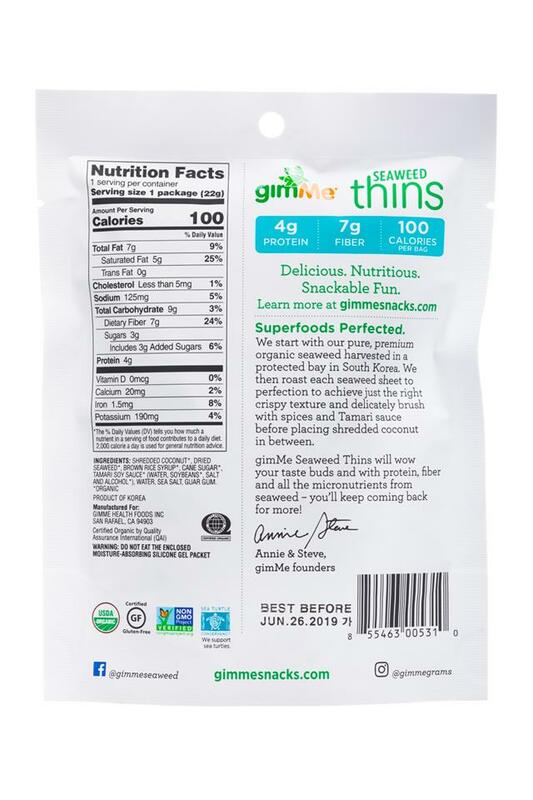 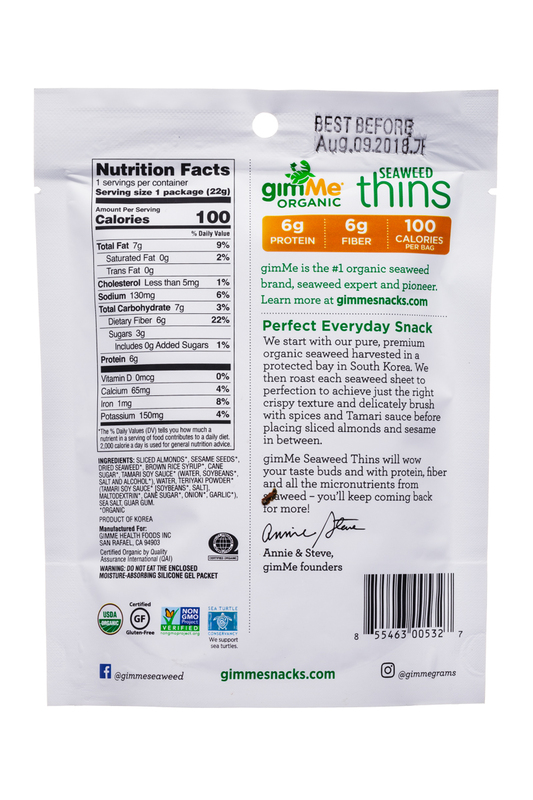 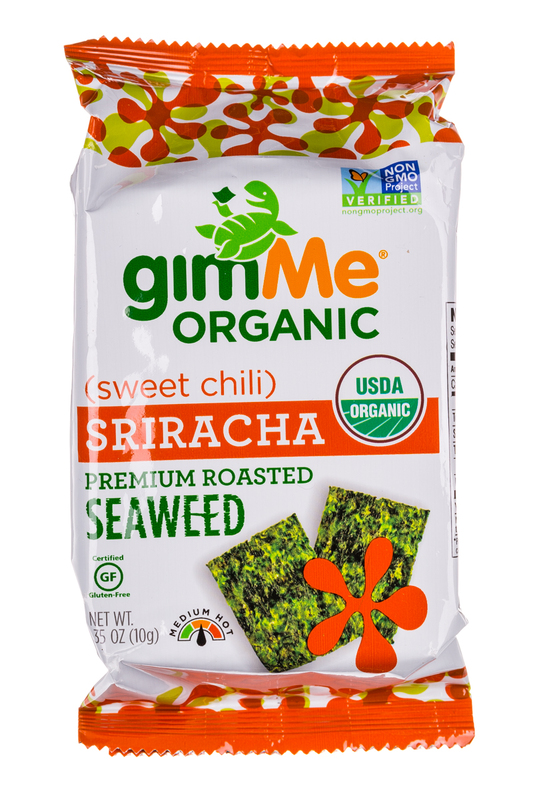 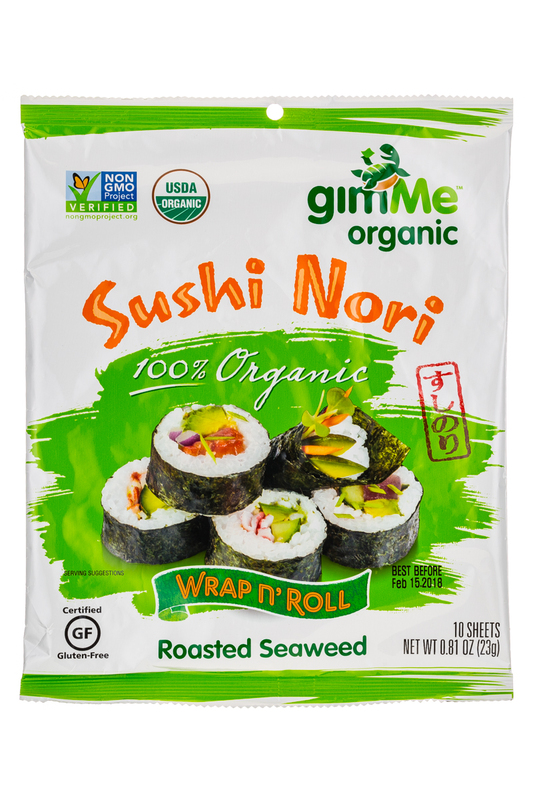 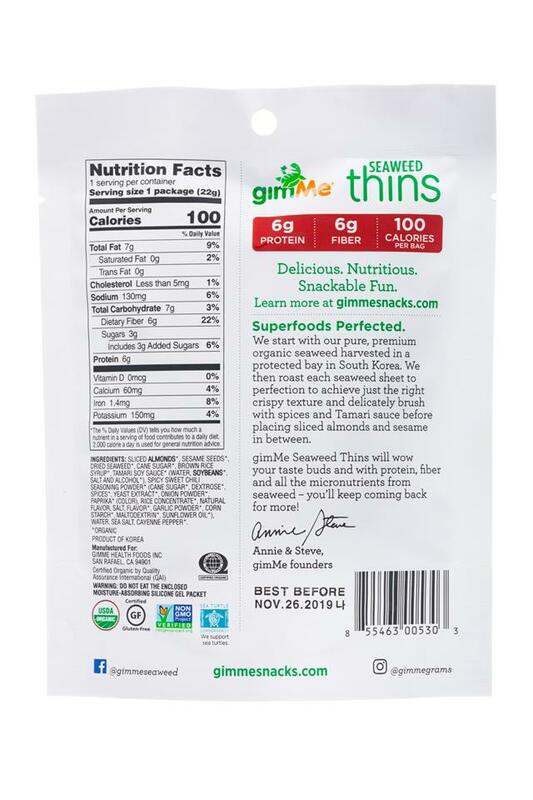 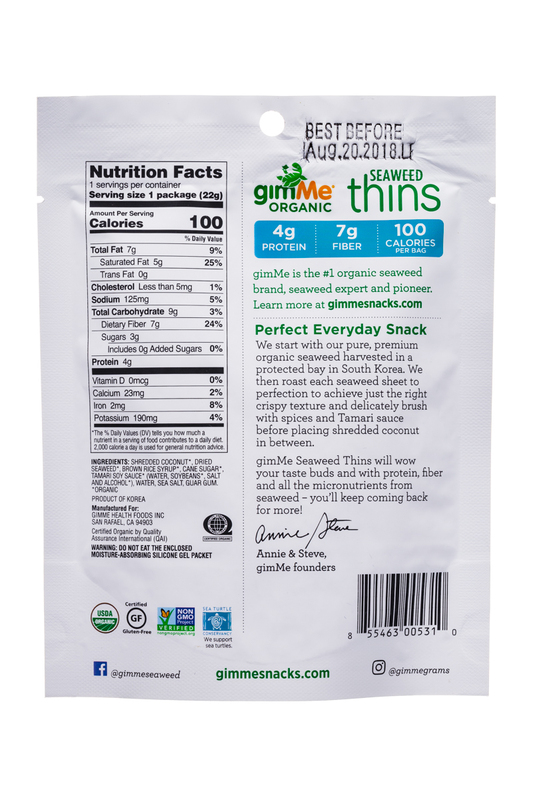 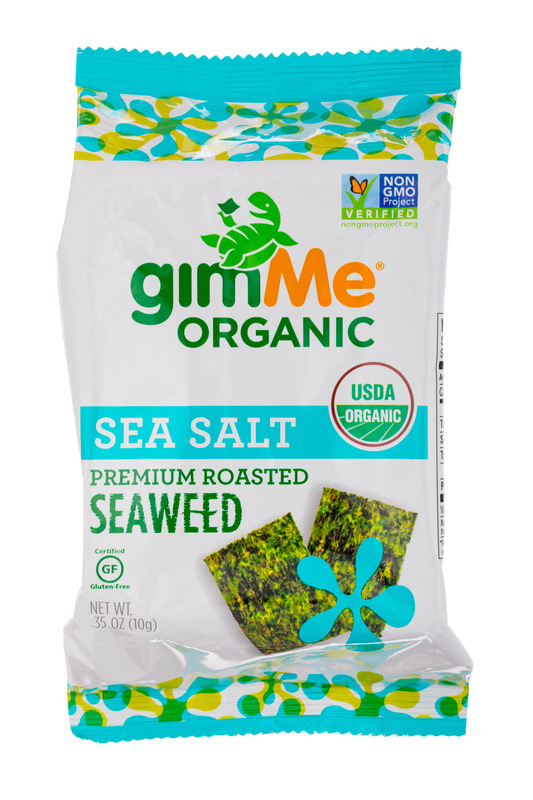 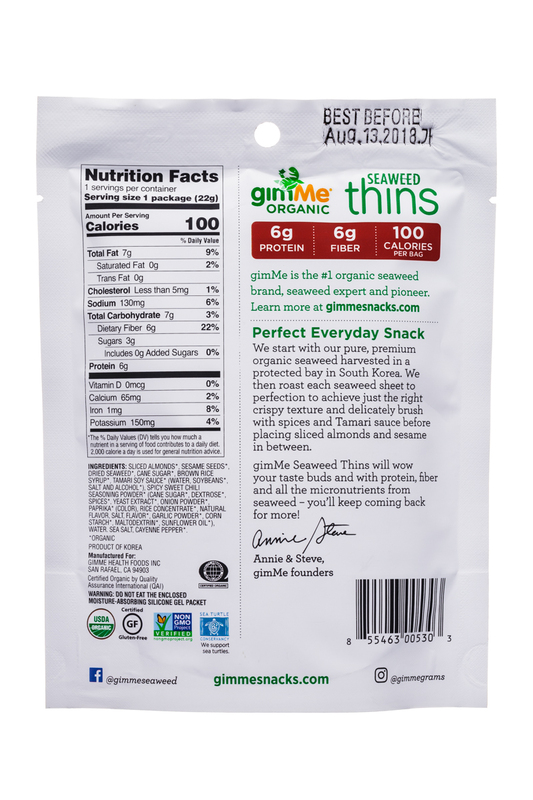 gimMe roasted seaweed is made nutritious by nature and delicious by the natural foods pioneer, Annie Chun and gimMe Health Foods.